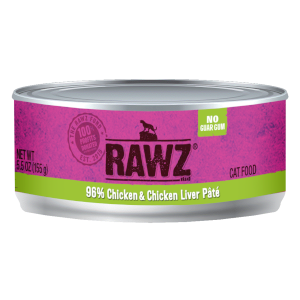 Chicken thigh and leg meat, chicken heart, chicken liver, gelatin, water (sufficient for dry ingredient hydration), organic dried egg yolk, organic dulse powder, egg shell powder, organic psyllium husk powder, vitamin E supplement, manganese gluconate. Turkey thigh and leg meat, turkey heart, water (sufficient for dry ingredient hydration), turkey liver, gelatin, organic dried egg yolk, organic dulse powder, egg shell powder, organic psyllium husk powder, vitamin E supplement, manganese gluconate. 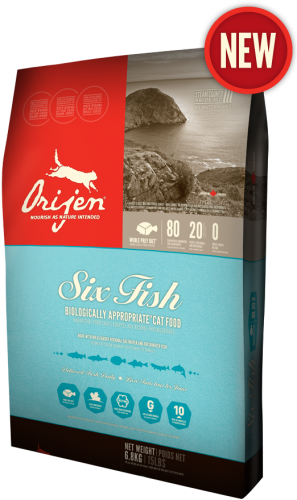 INSPIRED BY THE RICH DIVERSITY OF FISH INDIGENOUS TO CANADA’S PRISTINE WATERS, ORIJEN 6 FISH IS PACKED WITH SALTWATER AND FRESHWATER FISH, CAUGHT-WILD AND THEN WHISKED TO OUR KITCHENS AS FRESH AND COLD AS THE WATERS THEY CAME FROM. 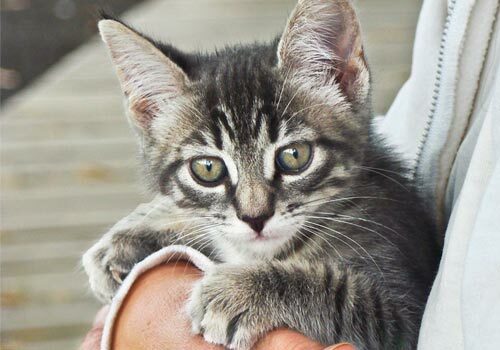 MOTHER NATURE EVOLVED ALL CATS AS CARNIVORES, DESIGNED TO THRIVE ON A DIET RICH AND VARIED IN FRESH WHOLE MEATS WITH SMALLER AMOUNTS OF FRUITS, BERRIES AND GRASSES. 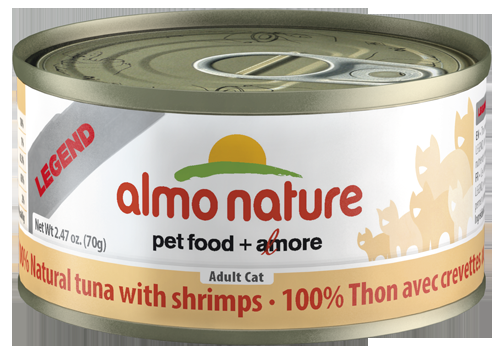 Recipe: Tuna, water sufficient for cooking and shrimps. Recipe: Chicken drumstick and water sufficient for cooking. 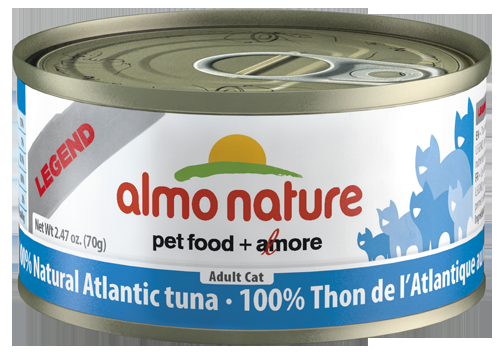 Recipe: Atlantic Tuna and water sufficient for cooking. 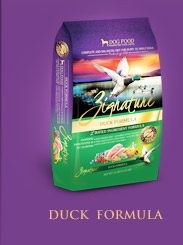 Zignature® Duck Formula for dogs is formulated to meet the nutritional levels established by the Association of American Feed Control Officials (AAFCO) Dog Food Nutrient Profiles for all life stages. This formula is potato,grain, and chicken free. 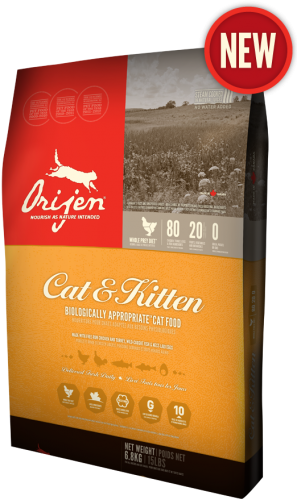 When our nutritionists created Precise® Naturals Chicken Meal & Rice Foundation Formula, they ventured far beyond ordinary premium dog foods. 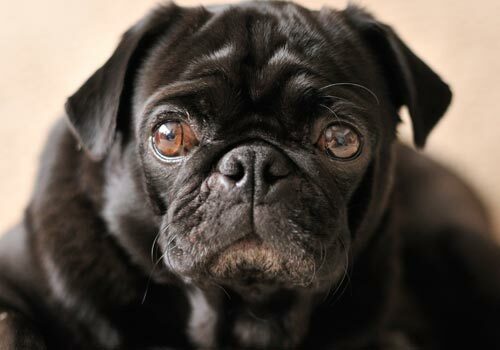 Precise Naturals are completely free of chemical preservatives and by-products. But that wasn’t nearly enough to provide the finest quality nutrition for your special tail-wagging member of the family. 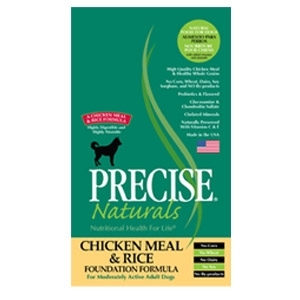 Precise is made with upscale ingredients such as chicken meal, whole grains, flaxseed, fish oil, probiotics, chelated minerals, and omega fatty acids. 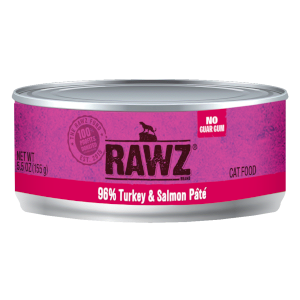 Because our food is so wholesome, it is exceptionally digestible which is not only beneficial for your dog, but means less clean-up for you! 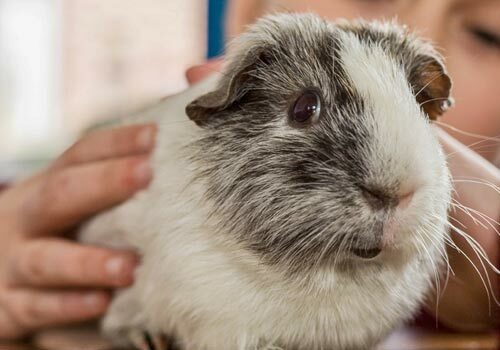 Nutritional Health for Life®. That’s what Precise® is all about. 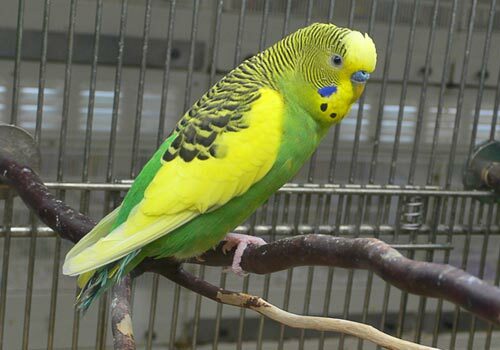 Available in 15 & 30 lbs. On New Year's Day you celebrate with an old family recipe that is timeless and delicious. The parades are on TV and the venison stew is simmering on the stove, filling the house with a wonderful aroma. 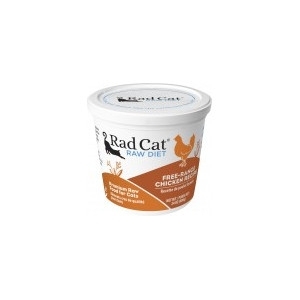 Our family made this dish available after our dog, Annie, devoured a bowl and now expects it every day. 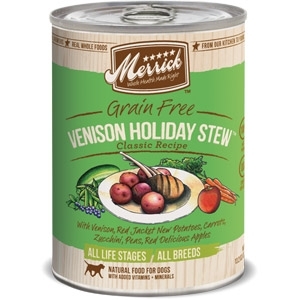 Merrick Classic Grain Free Venison Holiday Stew™ contains no artificial colors, flavors or preservatives. 13 oz. Once upon a time there was a magical place called Wingaling™ and it had the best tasting chicken in the world. The Merrick's would like to welcome your dog into this wonderland of flavor that is chicken paradise. 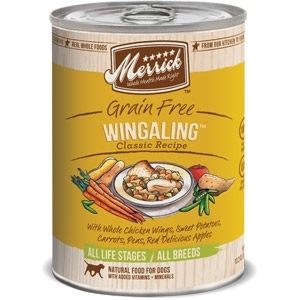 Merrick Classic Grain Free Wingaling™ Canned Dog Food contains no artificial colors, flavors or preservatives. It contains delicious home-style chunks that your dog will love. 13 oz. 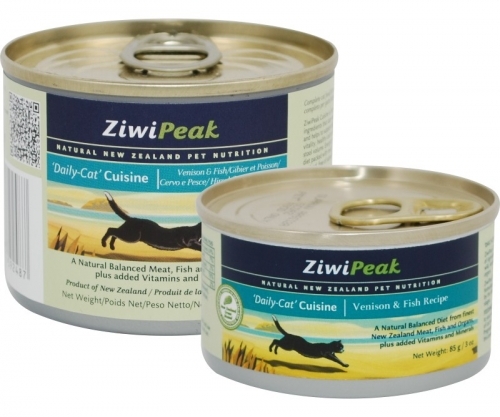 ZiwiPeak Venison and Fish Cans for Cat 12/6 oz. Combining the best of New Zealand ingredients, our Venison and Fish formulation features pastured, grass-fed venison together with highest quality hoki-fish protein sourced from New Zealand’s clean ocean waters. It provides all the essential fatty acids like omega 3 and omega 6 which cats are unable to produce themselves. ZiwiPeak Venison Cans for Cat 12/6 oz. 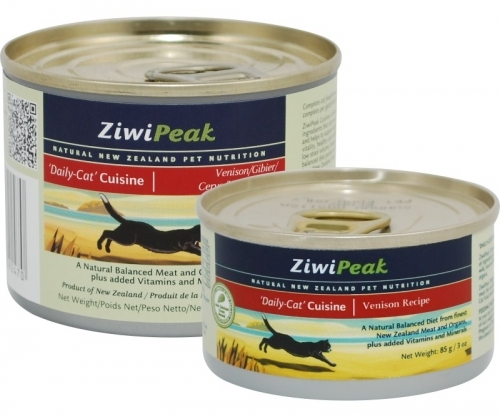 New Zealand’s premium quality, pastured, grass-fed venison is a superb protein source for dogs. It’s highly digestible with plenty of connective tissue and high levels of natural chondroitin and glucosamine to support long-term mobility and joint health.